Do you know the difference between the bull and a bear market? If not then you should probably not be presenting about business, investing or money! 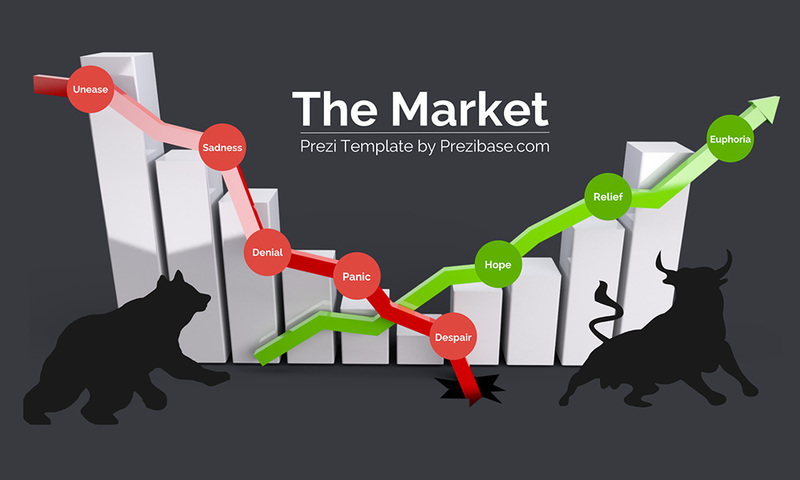 A great Prezi presentation template for presenting about market related changes – the ups and downs of stock trades. 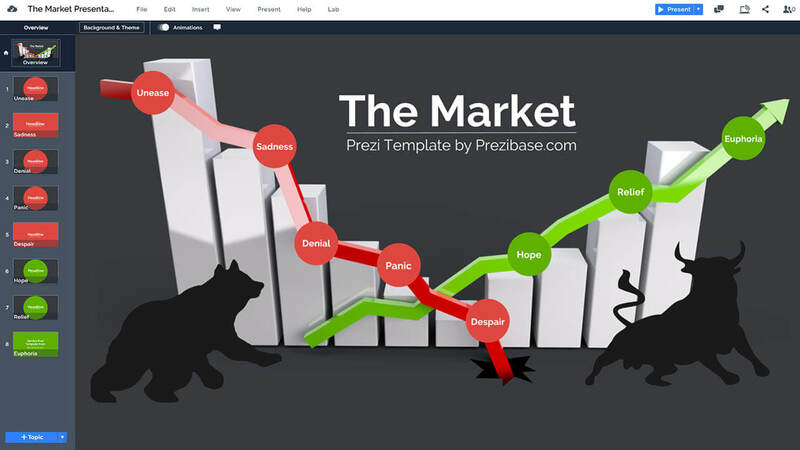 Templates includes a 3D illustration of a bar graph with a bear and bull market. A red arrow illustrates a recession hitting the ground and green arrow shows a boom in the economy. A bear is following the bull – a classic economic concept of comparing people who think negative and think that the stock market will crash vs the ones who think positive and expect prices to keep on rising. The template starts with an overview of a bear chasing the bull on a 3D bar graph background which has red recession part and an economic boom with a green cycle. Zoom into the red or green circles and add your own take on the economic situation and the boom or bust cycles. This entry was posted in Best Prezi presentation templates, Prezi Next Templates and tagged 3d bar graph, 401k, bar graph, bear market, bonds market presentation template, bull market, business, housing market presentation template, investing, investment, market, market analysis presentation template, market overview presentation template, market powerpoint template, market presentation template, market research presentation template, market review presentation template, market share presentation template, market strategy presentation template, market trends, money, prezi next template market, prezi template business, recession, security market presentation templates, stock market presentation template.